We can support you to make this happen…are you ready? We have years of experience in creatively supporting women to design lives – that reflect how they want to live. We understand that we women want to collaborate – network and be a part of something bigger than ourselves. Our diverse powerful work gets you to look at what’s next for you in life and to create it! Our work is designed to prepare you to live successfully in this world and to find your own definition of success. Our work is informed and guided by the ancient principles of Celtic Wisdom, deep spirituality, the Ayurvedic Sciences and our newly developed philosophy which teaches women their natural gifts – Awakening Your Essential Feminine®. After working with us – many women have said that we are highly unique in that we tangibly support women to be successful in business and life in this fast paced world yet our work bridges ancient wisdom with women’s needs today. Our products continue to grow and change. Stay tuned – many more are on the way. Private consultations with Maureen Simon are available to support you in designing the life and business you truly desire. She has worked with hundreds of women internationally for over twenty years. She has built numerous international businesses from inception to success. Maureen customizes her work to create successful businesses based on each client’s natural gifts and talents. Women work with Maureen to achieve long lasting, deep rooted success and fulfillment as they make a contribution through business. Join visionary business consultant Maureen Simon for her new 6-week Business and Life Design Mastermind group. This powerful convergence of women is for those who want to design the next stage of their personal and professional lives in a highly supportive, creative, and inspiring environment. Wherever you are in the world, you can participate! The course will be offered through GoToWebinar and will have online access and a call-in number. Lead your own Essential Feminine® Circles! This 4-week fast-track training program is for women who know that their feminine gifts are needed now and who want to support other women to claim their magnificent feminine attributes and strengths. When: October 20th – November 10th – 12:00 p.m. PST. To create the world you most desire, to get ahead in life, love and business, use “Awakening The Essential Feminine: Claiming Your Influential Power” as a guide, inspiration and personal resource. This book has information on powerful feminine attributes that have never before been put in one place for ease of use. 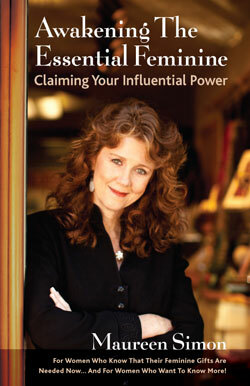 The book will show you specifically how to claim and live power and gifts that you may not even know you have. A must read if you want to understand and put to use the influential power of the feminine. You will have a chance to evaluate what is joyful about summer. 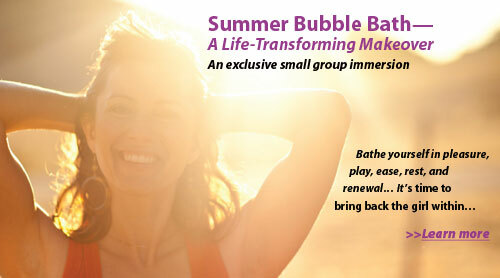 And you will have an opportunity to consciously design a summer of joy, sensual aliveness and peace. Autumn for many marks a new beginning. Activities reignite while the day darkens and shortens. This is a wonderful time of year to regroup. We have just completed packaging this course as a download that you can enjoy in the comfort of your home – car or where ever you wish. Enjoy your own private renewal. The course includes two one-hour recordings designed to help you to consciously look at how you are living your life this autumn. It will provide you with specific guidance and support in designing an autumn of greater choice and awareness. 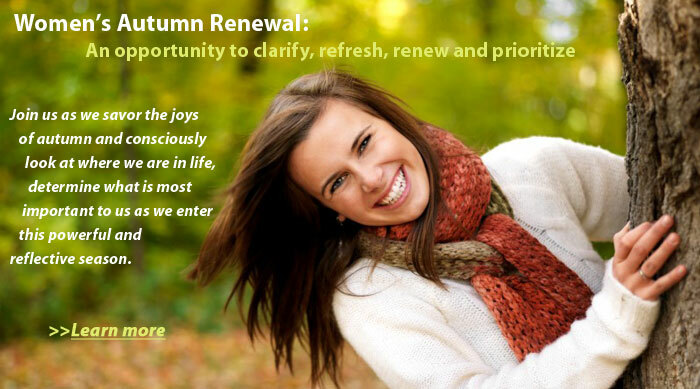 In addition to receiving the two one-hour recordings, you will also receive the Autumn Renewal Replenishment Form – a tool to guide you to see what is working in your life and what needs to change. All one time sessions are non refundable once booked and may be used up to one year from date of payment. Products: Refunds on tangible products are available in the following circumstances. Consulting: All long term consulting services will be as agreed in writing prior to the first session in TEF’s formal consulting agreement.